At the beginning of the twenty-first century, networks are emerging as a powerful force in the Western world. Networks are increasingly displacing neighborhoods as our sole source of community. This is the result of the flow of communication through technology and an increased personal mobility, especially among the young. A network might center around a hobby (running, hiking, motorcycling, or yoga), around work (information technology, teaching, or health care), or around social justice (activism on behalf of immigrants, the LGBT community, or victims of human trafficking). Members of the networks may or may not live in proximity to each other. Their relationships will often be a combination of online communication, either through Twitter and Instagram (younger) or Facebook (midlife and older), and face-to-face meetings. Each kind of meeting reinforces the other, but the pervasiveness of technology allows for a deeper sense of identity that transcends geography and location. The church is called to plant expressions of Christianity in third places that are increasingly “homes away from home” for a mobile and networked society. It turns out that there is an increasingly large mission field in which to do this creative work. The sociological concept of “third places” is helpful in our exploration of neighborhoods and networks. The theory assumes that the two fundamental places where we spend a great deal of our time are home and work. That leads us into the next question: Where does one spend time when not sleeping or working? In Christendom (or church culture), a prominent third place was the nearby church. In the church (say, for example, in the traditional and disappearing Bible Belt of America) one might meet new friends, establish business relationships, play softball or basketball, make political connections, find potential dating relationships, or discover a positive peer group for teenagers. Vestiges of church experience along these lines do indeed remain, although it is becoming rarer to assume that one will find these in any given congregation. But, if we are honest, this was never the mission of the local house of worship in the first place! Instead, new third places are emerging in our culture: coffee shops, sporting leagues, digital media, entertainment and resort culture, and pubs. Next generations such as Generation X, Millennials, and Generation Y especially orient their lives around these third places. Many of us have friends who inhabit coffee shops every day of the week, participate in running groups every weekend without exception, and form community in online relationships daily. There are no economic barriers to entrance. There is food and drink. The space is highly accessible; there are regulars, who are usually present, and newcomers, who are welcomed and received with ease. There is a quality of neutral space. The dominant mode of communication is conversation. When summarizing the characteristics of third places, it is apparent that many congregations don’t meet a number of these criteria. Our congregations may be composed of middle- or upper-class people; the space may not be accessible; and/or the newcomer experience is often awkward. As churches become more bound to revered traditions (sacred cows), the space can’t be neutral; there is a clear distinction between founding families and recent arrivals. This article is excerpted from Fresh Expressions: A New Kind of Methodist Church for People Not in Church (Abingdon Press, 2017) by Kenneth H. Carter and Audrey Warren. The book is designed with a small group Bible study format, intended to stimulate ideation for new forms of ministry in and through a congregation. 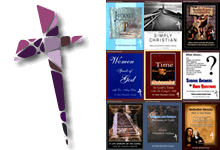 Fresh Expressions is available at Cokesbury and Amazon. Fresh Expressions by Lovett H. Weems, Jr.
Kenneth H. Carter, Jr., is resident bishop of the Florida Area of the United Methodist Church and president of the denomination’s Council of Bishops. His most recent book is Embracing the Wideness: The Shared Convictions of the United Methodist Church (Abingdon Press, 2018), available at Cokesbury and Amazon. Audrey Warren serves as senior pastor at First United Methodist Church of Miami. Since 2013 she has co-convened the Fresh Expressions movement in the Florida Annual Conference. She is co-author (with Kenneth H. Carter, Jr.) of Fresh Expressions: A New Kind of Methodist Church for People Not in Church (Abingdon Press, 2017), available at Cokesbury and Amazon.